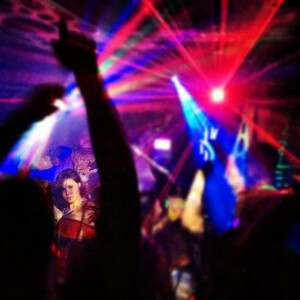 Bio: “The Craze Around Molly, Raves, and Electronic Music” was written by Oasis clinical team member Erica Smith, M.A., NCC. Erica has several years of experience working in the treatment field as a clinical therapist and has her Master’s Degree in Clinical Counseling Psychology from the American School of Professional Psychology. Site Description: Oasis Behavioral Health Hospital (http://www.obhhospital.com) is a psychiatric and chemical dependency treatment center that is devoted to providing the highest quality of care to everyone who comes to us for help. By offering a supportive and compassionate environment, we strive to empower those who are struggling with addictions by encouraging hope, healing, and recovery as they embark on the journey to true wellness and continued sobriety. Where Does Molly Come From? Molly has become the well-known slang term for the psychoactive substance, MDMA. MDMA is the acronym for methylenedioxymethamphetamine and is like other amphetamine substances in that it acts as a central nervous system stimulant, with the added effect of being a hallucinogenic. When Molly first came on the scene and continued to grow in popularity, it was considered by users to be a “better” form of the popular club drug, Ecstasy. Molly is said to be an uncut, pure version of MDMA, unlike Ecstasy, which is comprised of MDMA and other fillers. Additionally, because it comes in a crystallized or powder form, it has been marketed by dealers as being safer than Ecstasy because it doesn’t have the potentially dangerous additives that are often a part of forming the Ecstasy pill. Molly has become extremely popular at raves because the suppliers and distributors of the drug have found that these raves are an easy target for making mass sales. It has quickly escalated in becoming the number one drug of choice for people who attend such raves, as well as for those who attend festivals, concerts, and dance clubs. Due to the fact that Molly increases the activity of the neurotransmitters in an individual’s brain, the result is the onset of feelings of energy and euphoria. It is also commonly marketed as allowing people to “dance all night,” which, with the popularity of fast-paced, electronic music, can be extremely enticing to some individuals. In addition to feelings of excessive energy and euphoria, users of Molly also experience what they consider to be “pleasant” distortions of vision, hearing, and orientation to place and time, leaving them feeling as though they are in a dream-like state. These individuals have also reported feeling heightened levels of sensuality, causing them to develop an instant and emotional bond to those around them. Additionally, the DEA states that Molly can lead to a dangerous increase in one’s bodily temperature as it impairs the body’s ability to appropriately regulate temperature. While many young people attending raves and concerts take advantage of the added pleasure that Molly gives them, the drug has also caused much frustration in the electronic dance music (EDM) culture as a whole. Many fans of EDM have come forward with complaints as to how the use of Molly is tainting the image of the culture that they are a part of. 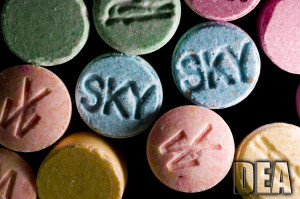 Individuals have commented that the hype surrounding the use of Molly has created a stereotype for a genre of music that they are genuine fans of. In September of 2013, an electronic music festival, known as EZoo, was shut down after two people reportedly died from overdosing on Molly. The week before that festival was shut down, a similar incident at the House of Blues in Boston occurred when another young person was suspected of dying from a Molly overdose. People in the EDM culture do not want their music associated with this drug; they want their music appreciated for what it is. Yet, it is likely that the high-energy music will continue to elicit the desire for drugs that will put people in the high-energy state that they crave, leading to the vicious cycle of drug abuse. As is true for all illicit substances, the use of Molly is dangerous and needs to be viewed as a public health concern. There needs to be awareness of the repercussions of what can happen after using this drug. And, like with other drugs, receiving professional treatment for addiction is the most optimal way in which a person can overcome his or her desire to use and return to a life of sobriety.